**Original Design** *100% Handmade*: Make a net with a collage of tiny dried flowers and thin string, & embellish with diamond cut glass, an floral dreamcatcher mirror is turned out finally! Material of Mirror: Metal Size: 7x7cm There are a limited stock of some of the colours. Feel free to contact us if you are interested in them. Please note that *7 working days* are needed for *custom-made order*. 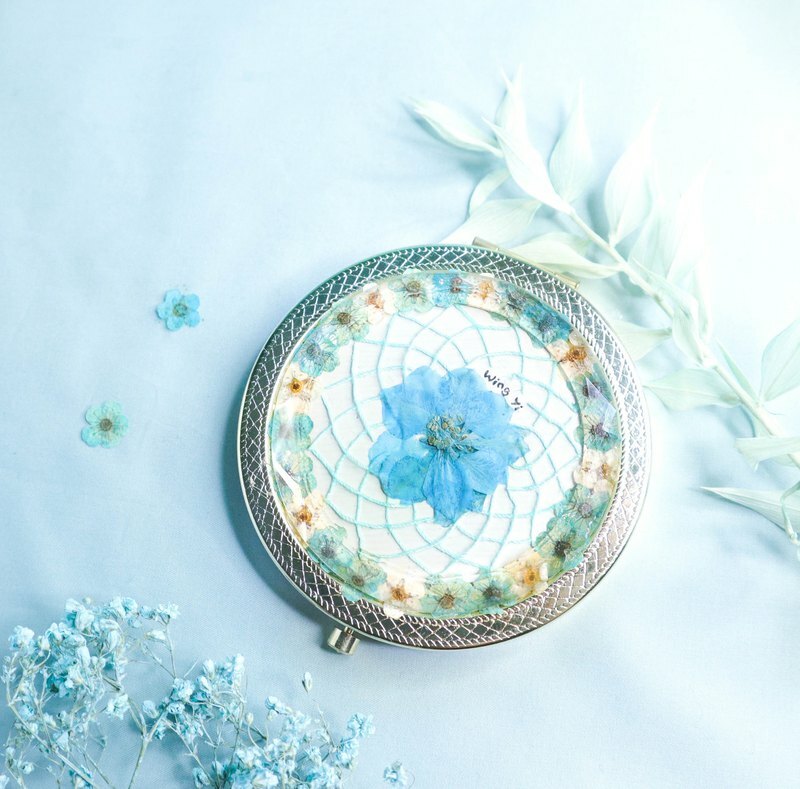 **Original Design** *100% Handmade*: Make a net with a collage of tiny dried flowers and thin string, & embellish with diamond cut glass, a floral dreamcatcher mirror is formed finally! Material of Mirror: Metal Size: 7x7cm There are a limited stock of some of the colours. Feel free to contact us if you are interested in them. Please note that *7 working days* are needed for *custom-made order*.